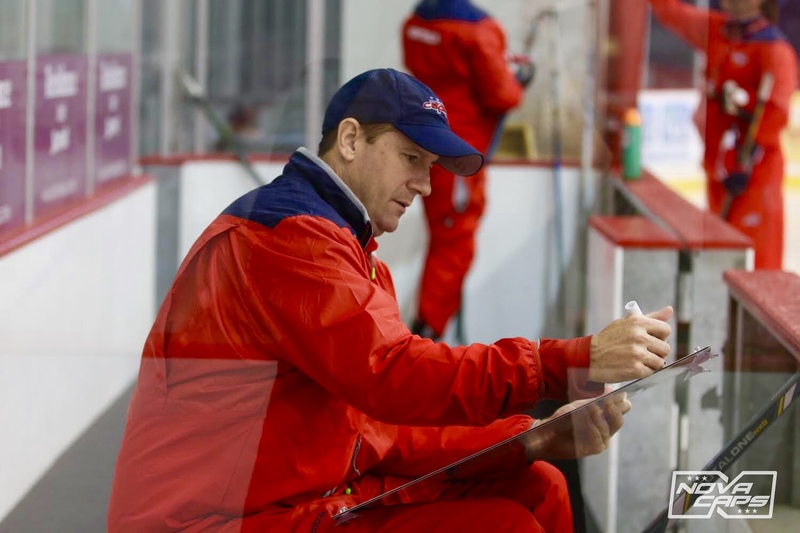 In many ways, Washington Capitals’ rookie Head Coach Todd Reirden was faced with a no-win situation this season. Do anything less than win a Stanley Cup, and the red-clad torch-wielding villagers will surely take to the town square. If Reirden wins the Stanley Cup, well he did a good job of carrying through on Barry Trotz’ previous work. If Caps fans were asked back in August, what would be a “successful season” for Reirden, most would have responded by saying “winning the cup”, and that’s it. In many ways, he landed the best possible job at the worst possible time. We will never know how the team would have fared under Barry this season. If the team is tired and/or less focused this season, Barry might have done even worse. We just don’t know. It’s not a safe assumption that had Barry returned, the Capitals would have gone back-to-back. As much as we want to (and we tried here), we simply can’t construct a direct comparison of this team to last years. How do you measure energy, hunger, enthusiasm? It’s “apples and oranges”. This is an easy one and becoming more and more apparent each passing day. Just look (up) at what he and the former Capitals coaching staff have done with far less talent in New York. He’s already changed the culture there, in a half season. And the fact that Barry created a great culture and winning ways in DC, and this is a no-brainer. But hindsight is 20-20. Trotz’ assistant coaches were also something to consider. Mitch Korn and Lane Lambert are very good at what they do. However, it bears repeating, Barry’s departure is equally associated with the disagreement he had with management following the second round series loss to Pittsburgh in 2017. By many accounts, Barry wasn’t coming back, no matter what. It wasn’t just a “money thing”. In many ways, his fate was sealed from the summer of 2017, forward. It’s true that Reirden was a huge part of the Stanley Cup run, and his ascension to the throne was a natural, well-planned progression that made plenty of sense before hand. Is it safe to assume he would be a natural fit in the top leadership roll right from the start? It’s a different job, to be sure. But is it fair to judge him after only one season? Look at the records of most other first year head coaches, and the answer is likely no. Also, the Caps are still in the thick of things. As of this writing, just three points out of the lead in the Metropolitan. In many ways, this season is unfolding in similar fashion to last season. We don’t know what will happen to this team when Reirden goes to the whip in late March, and how the team will respond. To the contrary, Reiden was handed the keys to a brand new Stanley Cup champion. He was given a lot to work with. There certainly have been a few eye-popping moves by Reirden that have caught our attention and have been documented on this site. Will those be future corrections, or are they systemic failures, rooted in his DNA? It’s difficult to accurately measure at this point. So how are you feeling about things? We want your thoughts. This entry was posted in News and tagged Barry Trotz, Jon Sorensen, Readers Poll, Todd Reirden. Bookmark the permalink. I’d be interested in Q. But will the Caps pay Q money? Didn’t they say that’s why they let Barry walk? This is all on Ted ” Moneybags ” Leonsis. He does NOT pay coaches. After the firing of Ron Wilson he has hired a ECHL coach in Cassidy. He then brought in AHL coaches in Hanlon and Gabby. Brought on Oates, a assistant coach. Then Hunter a OHL coach. I might have the order wrong. He has done the same thing with the Bullets. Hires coaches he doesn’t have to pay. Inherits GMs and keeps them way to long. Ernie, like McPhee, waits to long to correct issues. It’s sad. Ted is worse then Snyder. Skins might not win, but Snyder has never choked a fan. Joel Quenneville (3 recent Stanley Cups) and Darryl Sutter (2 recent Stanley Cups) are available. Of course Caps Brass won’t touch either of them. The Caps 2019 season is a disaster. Coach Rierden deserves a whole season? Why? Rierden has had his golden opportunity and blown it. Caps are demoralized and disorganized. Past eight weeks they’ve played worse than the Adam Oates Caps. Ovechkin & Co. obviously sputter under the goofy tutelage of their post-Trotz leaders. It’s a rotten time to be Caps fan. Thank Goodness we had our miracle last year. “Tim” believes that Owner Ted is the problem (won’t pay coaches). Maybe that is true — but if it is, this is a GENERAL MANAGER problem. It’s GMBM’s job to correct the Sovereign when he’s wrong.